Wilderness Poets Cacao Powder is made from the deeply flavorful, heirloom variety, Ecuadorian Arriba Nacional cacao beans. The cacao pods are hand selected for quality beans, which are sundried then lightly fermented to bring out the rich, aromatic flavor. The beans are peeled and cold-pressed to form a paste, the bean's butter is extracted, and our nutrient-dense cacao powder is formed. No other ingredients or sugar are added. This is pure, raw, unsweetened, organic Cacao Powder. 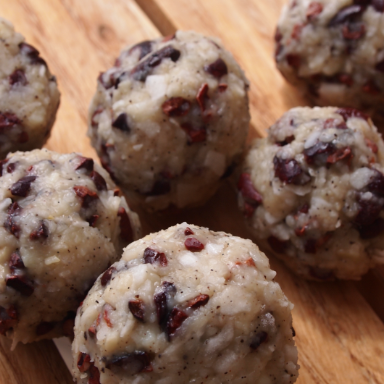 Put a spoonful into your next smoothie, chia pudding, bliss ball, or other treat and feel the power of this super food. Allergy Warning: Packaged in a facility that processes Various Tree Nuts. WHY IS THERE AN ADDITIONAL "WARNING" ON MY CACAO Powder? 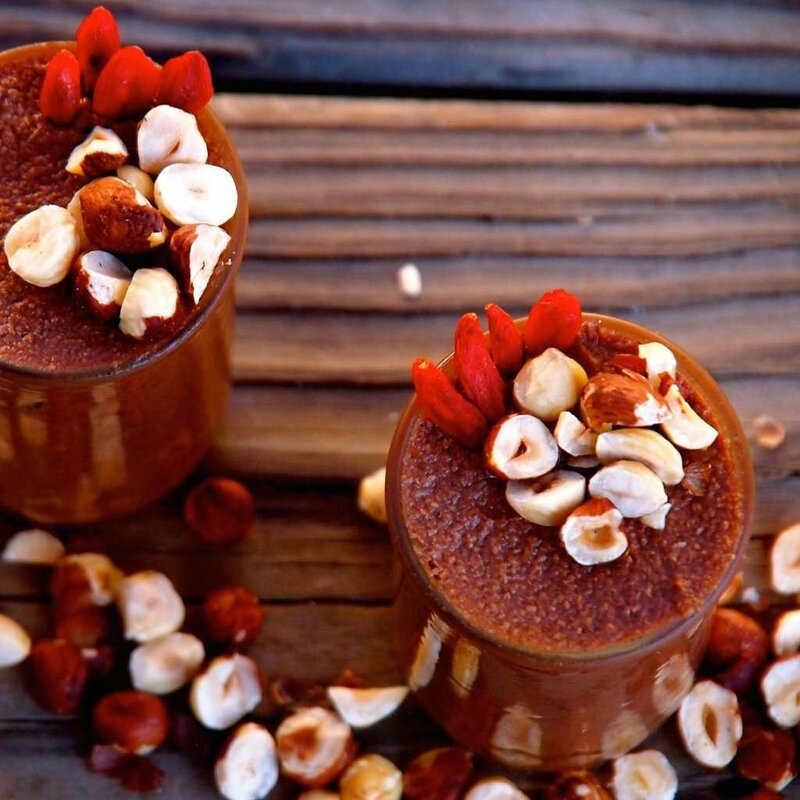 Cacao, 'the food of the gods' has been used for centuries to boost energy and enhance mood. With over 300 identifiable chemical compounds, cacao remains one of the most complex and pleasurable foods on the planet. By raising the neurotransmitters in our brain, cacao promotes an overall happy feeling. 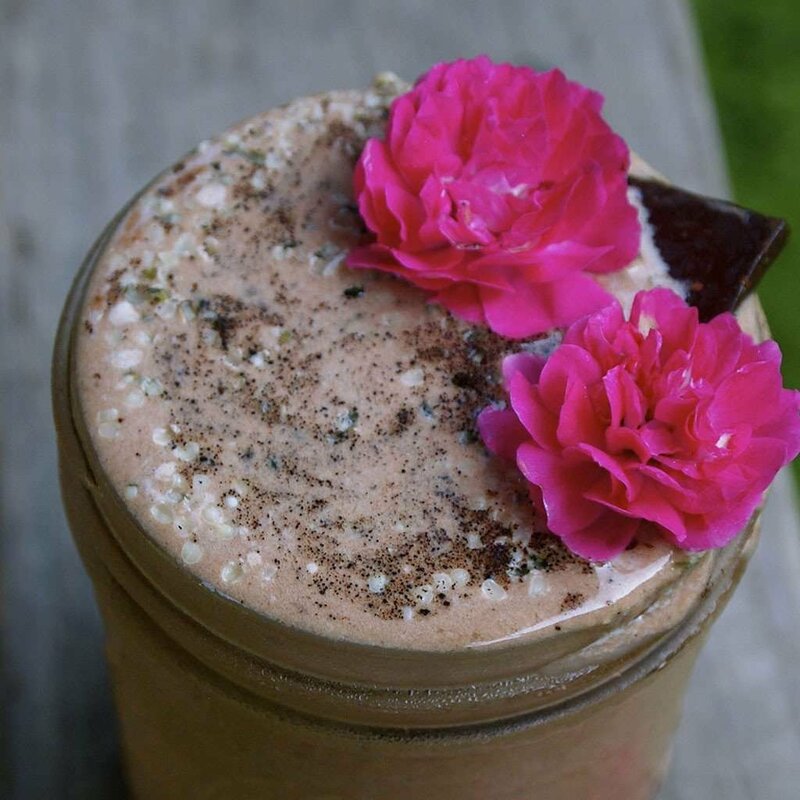 Cacao is also high in the mineral magnesium, essential for helping the heart to pump blood efficiently, building strong bones, and lowering blood pressure. Cacao is a good source of sulfur, generating healthy skin, nails and hair. Cacao contains one of the highest levels of antioxidants on the planet, exceeding that of red wine, green tea and many other exotic fruits and vegetables. Wilderness Poets Cacao Products are made from the deeply flavorful, heirloom variety, Ecuadorian Arriba Nacional cacao beans. 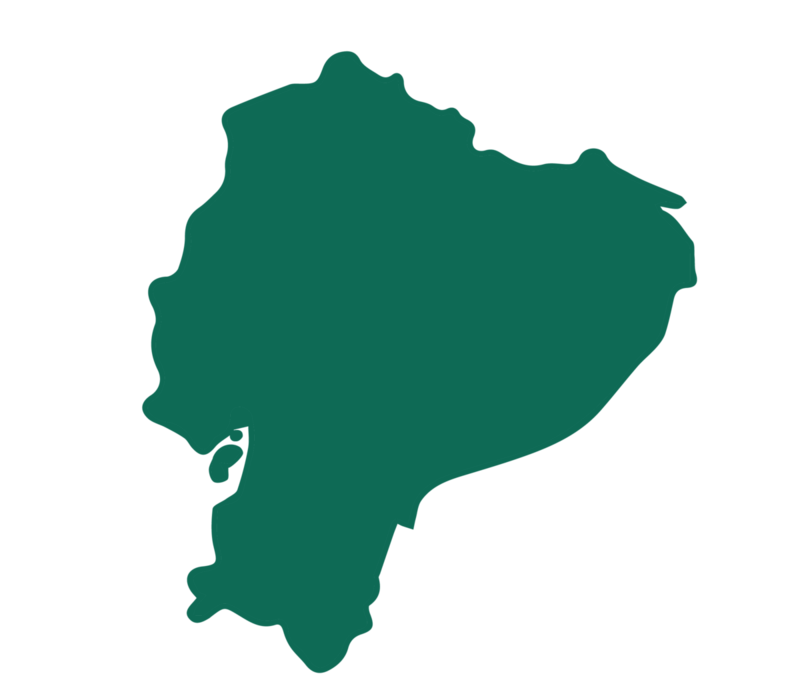 The interesting thing is our Cacao doesn't come from farms or farmers. It is wild, heirloom cacao. Grown in high–elevation highly mineralized volcanic soil. Watered by rain or deep mountain spring water, the trees are never irrigated by potentially contaminated rivers and streams. Wild harvested and brought down on donkeys. 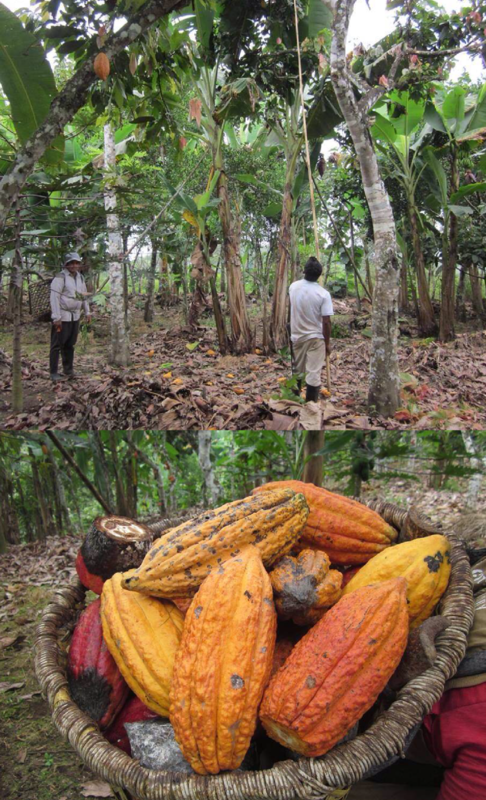 Mature, ripe cacao pods are harvested from trees that are between 30 and 80 years old. The cacao pods are hand selected for quality beans, which are sundried (never gas dried) then lightly fermented to bring out the rich, aromatic flavor. 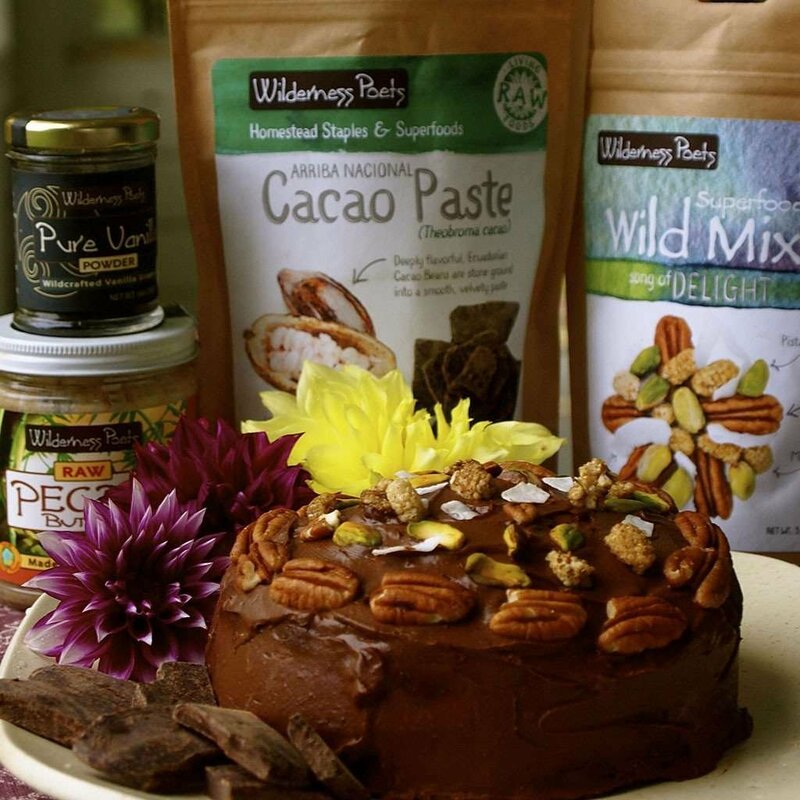 Wilderness Poets Cacao Powder, Paste and Unsweetened Nibs are 100% Arriba. The pods are hand selected and never acquired from aggregators thus no possible cross-contamination. 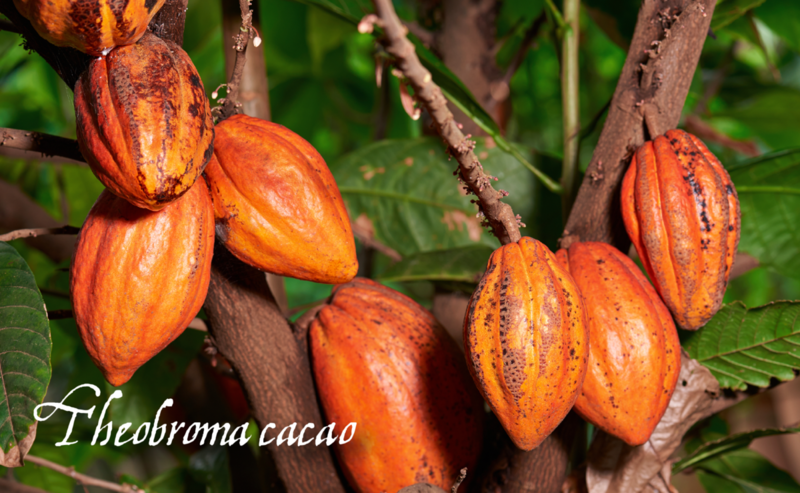 (Our Coconut Sweetened Cacao nibs come from Peru).